This one-story Carnegie library opened in 1908. The building features five bays, 10,000 plus square feet and a stone-trimmed doorway with a bracketed pediment. 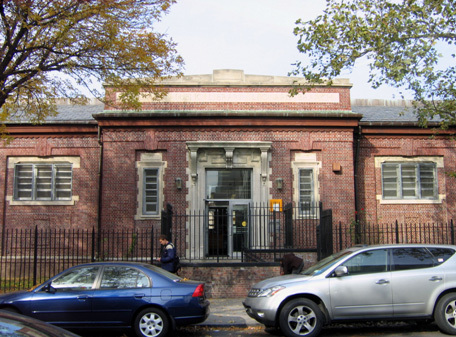 Located one block from busy Metropolitan Avenue, the Leonard Library underwent major renovations from the 1950s through the 1980s.